BOULDER – The best way to reduce the extreme stress of moving? Partner with a reliable, trustworthy and time-tested moving company. 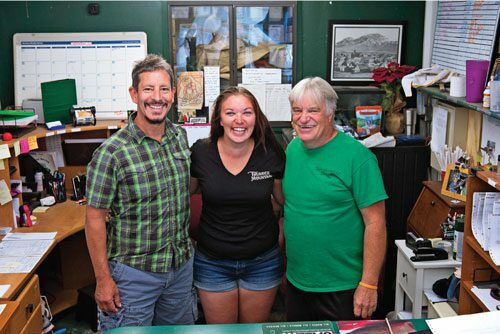 Indeed, Taylor Moving and Storage “has built the business on trust,” Taylor said, vaulting from one moving truck and a couple of employees in 1997 to 15 trucks and 35 employees today. 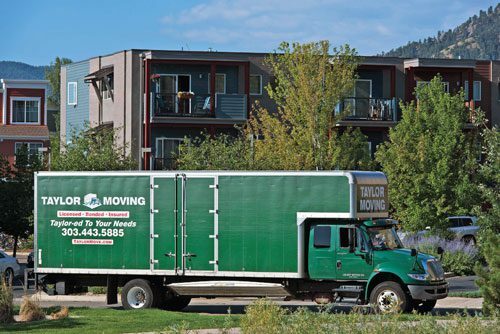 Boulder County’s only moving company to consistently earn repeat Boulder County Gold, Best of Boulder and Longmont Readers’ Choice awards, Taylor Moving and Storage secures customers’ confidence and trust from the first free quote to the final furniture installation. 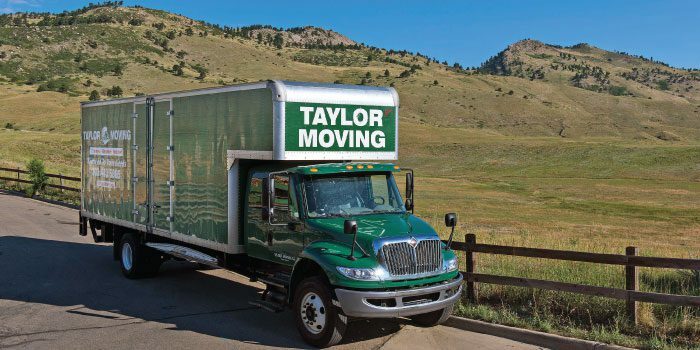 Taylor Moving and Storage counts satisfied customers from Boulder to Fort Collins, Longmont to Lyons and Louisville to Golden “and everything in between,” Taylor said. As an agent with National Van Lines, Taylor Moving transports belongings throughout the United States and internationally. For the do-it-yourself mover, Taylor Moving and Storage is an authorized Budget Truck dealer. “We can rent you a truck for your local or one-way move and even help load or unload it,” Taylor said. Unlike many moving companies, Taylor Moving details the total price upfront. “We have no hidden charges for gas, mileage or truck fees, just a simple all-inclusive hourly rate,” he said. “All of our moves include the truck and our professional moving equipment, including wardrobes, padding and protective wrap for your belongings. Our professional movers will also do any necessary disassembly and reassembly and place everything in your home where you request it.” Local moves include free full-coverage insurance. 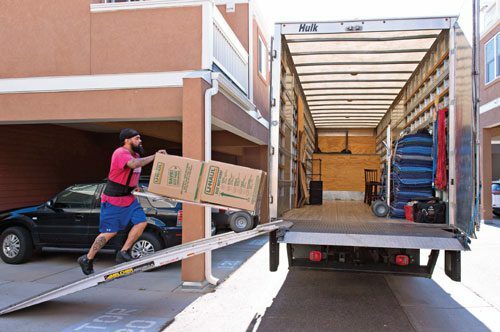 Since the hassle of moving is packing as much as the actual move, hiring packing specialists from Taylor Moving eliminates stress, work and worry. Packers are trained to pack everything from dishware to heirlooms with meticulous care, and customers select from full or partial packing and unpacking services. Taylor explained, “Our moving crew are experts in packing to protect your belongings. No matter how fragile, our movers can protect it.” Taylor Moving utilizes specially designed boxes to keep belongings orderly and safe. “We can collect all of your hanging items, neatly pack them in our convenient wardrobe boxes and hang them in your new home,” he said. “If you’d prefer to handle some of the packing yourself but want us to handle certain items or rooms, you simply tell us what you want packed,” he added. “We’ll supply the boxes you need and help you pack whatever you please.” Taylor Moving sells packing supplies at low cost. For clients between moves, Taylor Moving offers a 15,000-square feet climate-controlled storage facility in Longmont.​ “We are dedicated to providing one of the largest private storage facilities in the Boulder area, perfect for when you want the peace of mind of knowing your items will be safe and secure,” Taylor said. “We have storage of all sizes to accommodate your belongings, from one piece to your whole home.” Month-to-month payment options are available for storage. whose business is numbered with the Better Business Bureau and Angie’s List. Taylor Moving’s commitment to the community extends beyond house or truck. “Our green trucks are a reminder that we try to be green in all we do,” Taylor said. The company works with Boulder’s recycling facilities to reuse and recycle packing supplies and sells used boxes. To further serve the community, Taylor Moving donates services to the local Humane Society and the Boulder organization Moving Against Sexual Assault (MESA), among other local nonprofits. Whether moving across town or across the country, customers can expect a stress-free, smooth moving experience from Taylor Moving and Storage. To schedule a free estimate for a move or visit the storage facility, contact Taylor Moving and Storage at 303.443.4885 or visit taylormove.com and complete an online estimate request. “Our professional movers will take the time to go over your moving needs and go over your move before moving a single item onto the truck,” Taylor said.